We're wrapping up Ghost Week with one last favorite easy activity. So far we've made mini ghost windsocks, gone on a ghost number hunt, played a ghost knock down game and make a paper plate ghost craft. 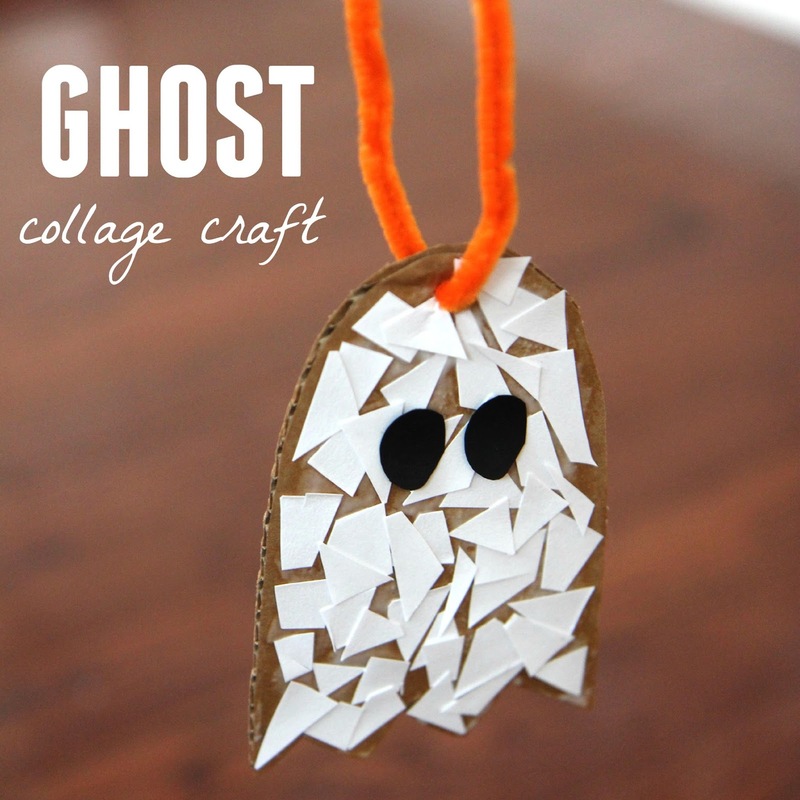 Today we are making a simple ghost collage craft with some materials you probably already have around your house! This is a great scissor skills activity! Have your child snip white paper into little pieces. For younger kids, pre-cut the little papers. Cut a piece of cardboard into a small ghost shape. Cover the cardboard with glue. Stick little pieces of white paper onto the cardboard and then stick on black eyes. Punch a hole in the top of the cardboard. Thread a pipe cleaner through. Hang your ghost up as a decoration on your trees outside or around your house! 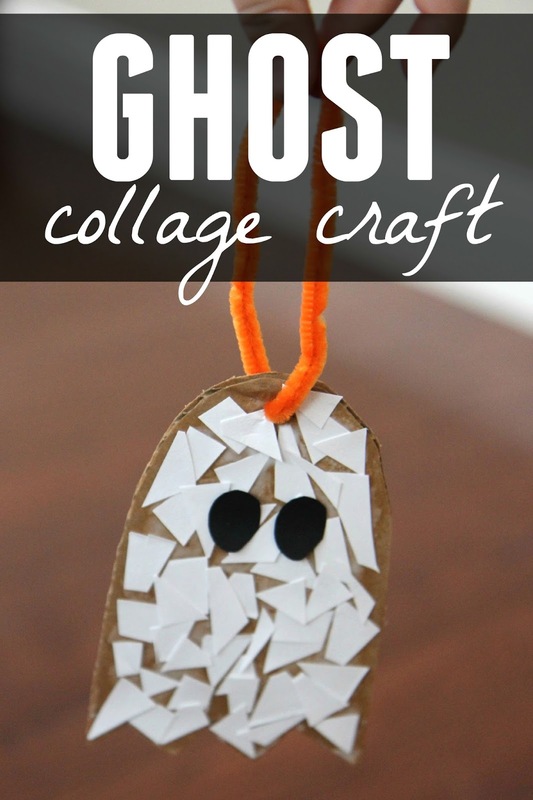 I think it is fun to make 5 or 6 of these ghosts and hang them outside on our bushes or even make a spooky tree indoors and put them on it as ornaments!